Will you help me to make a stand? I am joining The Big March against bullying! 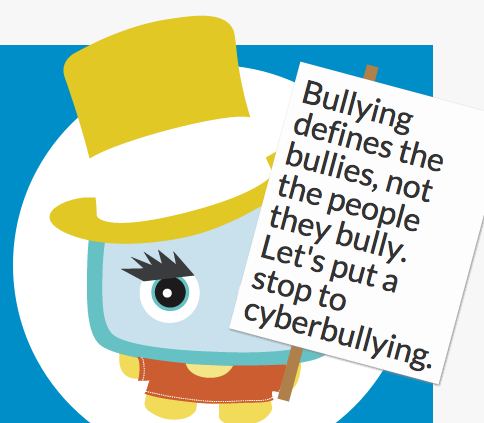 Organised by international bullying prevention charity BeatBullying, we will be marching across cyberspace on 11th June 2014. My avatar is wearing a yellow top hat! Want to join us? Nobody who has gone to school has avoided bullying. Either being bullied, being the bully or witnessing bullying. It still breaks my heart to remember the way one girl in my class at school was treated when we were about eleven or twelve and just starting secondary school. Little, nasty things that were done to her, just because she was slightly different. They made up stories about her. They laughed at her. They said that she smelt. Now and again I would try to do something, but to my shame because I was shy and lacking in confidence I did not make a real, proper stand. Worse, now and again I would laugh at some joke which was at her expense, or agree that she was ‘really weird’. By doing this I will have reinforced the bullies’ behaviour. Bullying taints everybody who does not stop it in its tracks, everybody who does not stand up and say ‘this is wrong’. I did not make a stand on behalf of the bullied girl in my class and to this day I regret that. Other things happened at my school at around the same time which I still feel quite horrible remembering. My form teacher was bullied by our entire class. She probably had other things going on and she was clearly on the edge of a nervous breakdown. The more she lost control of the class, the worse the class behaved, and the more inventive and cruel the ringleaders became. They locked her out of the classroom, put blackboard chalk on her chair, and much worse. It was not quite ‘Lord of the Flies’, but what happened at that time made the book an uncomfortable read a couple of years later. Bullying happens everywhere, to all sorts of people – young and old. A friend of mine who went to a different school was bullied by a group of boys who made fun of her for needing a bra long before any of the other girls. They were incredibly cruel, and it affected her self esteem for years. Over twenty years later she went to a dinner party and one of those boys was among the guests. He was now a perfectly nice man, with a very nice wife. My friend said that when he realised who she was she could tell that he remembered because he went quite pale, and was very quiet, to the extent that other guests asked if he was unwell. To his credit he must have felt considerable shame remembering what he did to her – the endless taunting and the pinging of her bra strap when they were children. This is what often happens with bullying. The bullied (like my friend who is incredibly confident and successful now) eventually move on and realise that they are SO MUCH BETTER than the people who bullied them. The bullies have to live with what they have done, at some level, for the rest of their lives. Cyberbullying is now the most common form of bullying. It is a new and nasty way to ‘get to’ people. It used to be that bullying was confined to school and home was an escape, but now the bully can follow their victim home. Cyberbullying is evil. At its worst it causes suicides. It ruins lives. 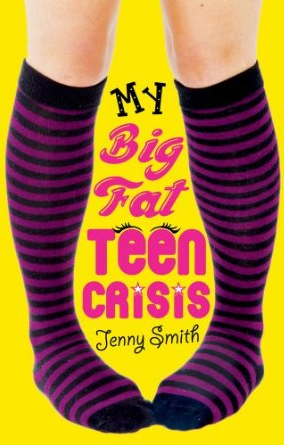 I was moved to bring cyberbullying into my teen novel ‘My Big Fat Teen Crisis’. I wanted to show that cyberbullying can happen to anybody. The central character, Sam, is bullied online by a girl in her class at school who is jealous of her, with the cyberbullying incidents escalating as the story develops, until the bully goes just one step too far, and Sam’s friend Lucy (who has cerebral palsy) also becomes her target. I hope that by showing cyberbullying happening to a central, very likeable character, it helps girls who read the book to see that the problem and the dysfunction is always with the bully, NOT the bullied. So, will you join me on 11th June? I didn’t make a stand when I was eleven years old, and I will always regret that, but I am making one now. Let’s march against bullying.